Mix the plain and wholemeal flours, sugar and salt. Rub in the soya marge until it resembles fine breadcrumbs. Add a little cold water to the pastry and mix until it forms a firm dough. Roll out into an oblong shape on a floured surface. 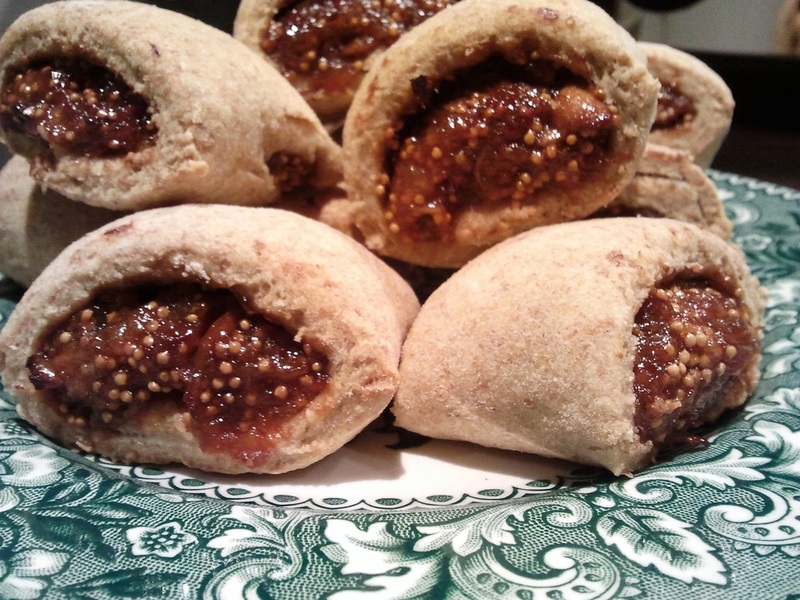 Mash or blend the fig mixture (depending on yor preferred consistency) and spoon into the middle of the pastry oblong. Carefully wrap the pastry around the fig mixture, allowing a slight overlap so the pastry can stick to itself. Cut the roll into portion sizes (about 12) and arrange on a greased baking sheet. Bake for 30 minutes at 175 degrees. Delicious served with a hot spiced chai!